Now it turns out that this advice was wrong. Not just according to long-term statin critics but it’s admitted by drug companies themselves. (See: “Cholesterol: I’ve never been wrong so fast or so right” by Dr Malcolm Kendrick.) The impetus for the change is that patents on statins have nearly all expired, drastically lowering drug company income, so a new range of expensive drugs to protect us from heart disease is lining up on the launch pad. But the reasons given for why you should take them are rather different from the story about heart disease we were spun to explain why we should use statins first time around. And that should make you very suspicious. Driving down cholesterol is out and instead we have to be worried about quite different factors – the combination of high levels of fats in the blood and low levels of the “good” cholesterol HDL. The challenge for the drug companies is that statins have little effect on either. To get them out of this bind they have had to turn to that old favourite of CAM (complementary and alternative medicine) – omega 3 fish oil. Hardly considered a proper medicine until suddenly it is combined with a drug. The old view went something like this. Statins, depending on the type and dose, reduce LDL cholesterol 20-50%  and for every 1.0 mmol/L (38.6 mg/dL) reduction in LDL cholesterol, there is approximately a one fifth reduction in coronary heart disease . These apparently impressive stats have encouraged medical practitioners to embrace an “as low as you can go” approach; to put an increasing number of people on these drugs. If the official formula for calculating your risk defined yours as high then the advice was to aim for an LDL cholesterol of 1.8 mmol/L  and if you couldn’t reach that on a low dose statin then you should switch to a high dose one. This result of this protocol was disastrous. Since only 8% of the population hit that target naturally that means 92% of the population were potentially eligible  and once you got over fifty, everyone was automatically in line for a prescription  because simply getting older raised your risk rating. Currently 1 in 4 American over the age 45 take a statin, that’s a tenfold increase over 14 years. At this point the boundaries between preventative medicine and medicating society have virtually disappeared and mass drugging has become official policy. So far as I know, lowering TGs can be done by reducing the amount of carbs one eats. Raising HDLs can be done by increasing the amount of saturated fats one eats. Of course, that prescription doesn’t work for the food & pharm businesses. For example, I am, largely, indifferent to what fat my food contains (except for omeega 3s), I only care for the food as a whole. So while saturated fat itself is quite inert on the heart, if I eat it in the form of processed foods it will be bad for me, if I consume it as say cocoa which is a massive source of flavanols which improve enodthelial function, reduce oxidation and blood pressure and improve insulin sensitivity, then it is good for me. Likewise, sugar’s harm is not through changes we see in triglyceride panels, but the ensuing hormonal chaos that large intakes bring, which causes oxidative stress, inflammation, beta cell dysfunction and endothelial dysfunction, and the lack of nutrients the refined state posseses. The direct effects on lipids do not matter, it is what is happening behind the scenes which will determine our risk/ health. Aiden, I enjoyed your article very much. Where Big Pharma is concerned, if it isn’t tied down or already patented, and they believe a buck can be made off it – they will do so. Of course triglyceride levels can be lowered simply by dietary changes. In 9 months mine have consistently fallen from 2.5, 1.9, 1.5 to 1.2 mmol.L and that is while I have been enjoying a Low Carbohydrate High Fat, Medium Protein lifestyle. No Statins – I refused them after being injured by them ten years ago. I am curious why you did not mention the dietary possibility in your excellent article. I do understand it is not something of interest to the pharmaceutical industry – after all there is no money in self healing now, is there! Glad you liked it. A dietary review would be a whole new lengthy article as we would need to shift form macro-nutrient influence on lipids to foods overall effects on our health (see my comment above). There is a big difference (noted) between highly processed foods and those consumed as nature intends. Sadly this is not in the forefront of many peoples minds especially when doctors (pharmaceutical companies) have ‘magic pills’ to fix everything. What is it they proclaim? ‘Let food be thy medicine and medicine be thy food’….. AMEN! Well done Clare that’s a fantastic improvement with your Trig numbers. I’m sure due to your prudent diet your HDL will be increasing as your Trig lower, giving you a favourable Trig/HDL ratio which is now proven to be a much better marker .A good Trig/HDL ratio is normally indicative of a decrease in visceral fat and hence a much lower level of inflammation. I now have my own Trig down to .71 from 2.4 three years ago and I also now have a HDL of 2.06. Low healy carb intake all the way.P.S have you seen the new film Cereal Killers. Too Right Danny… watched Cereal Killer the moment it became available – Woohoo. 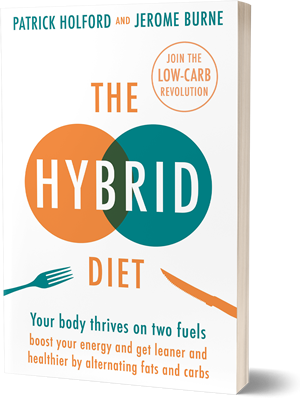 David Permutter is doing a great service also with his book Grain Brain.. Hubby and I both diagnosed type 2 DM decided to throw away the prescription, automatically dispensed for Metformin – doctor never even suggested an alternative treatment, and we trialled LCHF. (Doc simply gave us pamphlets for the standard diabetes high carbohydrate diet. Within 3 months our A1c’s were back in the ‘normal’ range as were fasting blood sugars. No more insulin spikes, and the lipid panel began to come back into a good “acceptable”(?) range. As you have already noted once the tri’s begin to lower, other lipid fractions altered accordingly. We are on a journey to better health. We did not get sick over night, so it will take time for full (if that is possible) cellular healing to occur. LCHF is a lifestyle, and a very tasty one at that. An excellent analysis arising from one main (epidemiological) perspective. Supplementation with fish oil may be a healthful direction in which to go. However, as we’re repeatedly advised arteriosclerosis and heart disease is associated with risk factors that are multi-factorial by their nature. The general agreement hereabouts is that while cholesterol and saturated fats are generally considered by the many to belong to the suite of risk factors for CHD we belong in the main to the few that are informed enough to dispute this commonly accepted ‘fact’. But that still leaves important questions. If the several risk factors can be quite disparate how do they all seem to result in much the same thing, the development of atherosclerosis? Clearyt what we place in our mouths isn’t atherogenic as such because these things get digested and processed and conveyed to the scene of the crime. And in any case, if aspects of diet do harbour suspects how do these bear upon physiology, and how can stress or chronic anxiety commute to much the same result? The plural and disparate nature of the supposed environmental risk factors (I guess I mean epi-physiological risk factors) is begging for some explanation of how these can converge within physiology as these physiological dealings advance towards the scene of the crime. Its a causal chain if like. There may be several causal chains but we’d imaging they each feed into a common link then alters the behaviour of cells within the endothelial layer of the walls of the arteries. Dr Malcolm Kendrick sees prospects in cortisol as representing a common link at the point of convergence, of if not common as such, sitting in close proximity. I think he’s onto something promising. We can be agreed upon something. Supplementing with fish oil may well be beneficial, and its likely more beneficial, less damaging, and a more natural way of intervening. But the protocol of supplementing is still an intervention. As interventions go it is a positive step that interferes with the business of cause and effect, but the protocol is advised without discussion of case and effect as pertains to CHD and or IHD, but I should mention Chris Masterjohn is in informed party who advises caution against over-consumption of all PUFAs and EFAs including those belonging to omega-3 set. The thing is convergence theory is coming of age, and nobody has prepared the way, perhaps, so much as has Dr Kilmer McCully. I didn’t realise he had, but I kinda second guessed a few of the links that sit in close proximity to the the point of convergence. Knowing there is convergence, and knowing what marks that point means multiple risk factors can be mapped in a schema, in much the same way the London Underground can. And of course, armed with a schema it is far easier to navigate ones way around a network of several alternative routes. With a bit of effort and some revisiting of sources I may be able to sketch the schema and offer it up for appraisal, with Jeromes blessing. In effect, I think Dr McCully has it already mapped out, so I just need to become more familiar with the more recent developments in his work and relate it with some observations of my own. Fish oil may not adress all risk factors at the origins of the several causal chains. Good points. I don’t think fish oil can fill the gaping gap and stop the degeneration set about by our poor diet and lifestyles. For example; Our risk of coronary heart disease is decreased 4% for every additional portion of fruit and veg we consume daily. Yet, only 31% of adults and 10% of children meet the “5-a-day” fruit and veg recommendation (we average about three servings a day). Every additional 10 grams of dietary fiber intake per day reduces coronary heart disease mortality by 17% . Yet, average daily intakes of dietary fibre for adults is a miserly 13-14g per day (well short of the minimum target of 18g per day). The risk of heart disease reduces 8% for each weekly serving of nuts (up to four servings a week. Yet, we average not much more than one serving (handful) of nuts per week. We don’t even manage to consume a measly single serving (16 grams) of wholegrains a day, even though the evidence shows that a two serving per day increase in whole grain consumption is associated with a 26% reduction in coronary heart disease. And despite the gargantuan of evidence supporting the benefits of being active, 80% of us fail to meet the government target of taking moderate exercise at least 12 times in a four-week period. So no, fish oil won’t be the panacea to make up for all this, but we know it is vital for CV health. We know the average Brit intakes circa 50-100mg a day and benefit is seen at 300-1,000mg a day. So it’s a definite needed intervention. At a pharmacological/treatment level, yes it would be better to completely overhaul diet and exercise in those needing it. But in a case where medicine is going to be used anyway, I would rather try high dose fish oils first. I think the whole Grain thing suffers from a bad case of correlation versus causation. Whole grain eaters are generally far more “healthy” in their practices generally, thus precipitating a nice correlation. WHole grain bread has a glycemic response higher than sucrose, and then there’s the gluten, gliadin, amylopectin A, and Lectins to contend with. I’m inclined to agree with the people who specialize in this area and consider the old wheat as an evolutionary “starvation food” (i.e. eat it if you can’t get meat, fish, eggs, fruits and vegetables. Otherwise you’re bang on with your summary – good man! and its likely more beneficial, less damaging, and a more natural way of intervening ..
Goddam me for rushing. I’m due in owrk (work) !! see above link to a very good Norwegian study – big pharma and weak science have indeed confounded the true picture in a disgraceful way…. “Supplementation with fish oil may be a healthful direction in which to go.” Why not eat fish? I agree with you about eating fish…. but one should also be aware that a high percentage of fish is farmed, and in that process are fed GMO Soy products….. not exactly a healthy thing for the human body me thinks. I never eat farmed fish, not even when they are so called organically reared – they are fed grain which is not a natural food for fish, and kept in atrociously over crowded conditions. Wild fish if responsibly sourced satisfies heathy fish which are healthy to eat. A government sicentist once advised me “don’t eat fish high up in the fish food chain” e.g. tuna and shark, as they will accumulate toxins, but eat the smaller ones. Sardines, for example, are all wild and low in the food chain – they have omega3′s and they’re cheap. Wild salmon is high in omega-3s and vitamin D – they are, in fact, the only food high in vitamin D. There are many other responsibly sourced fish which are great to eat and healthy too. The only downside is the expense…apart from those sardines which I eat some of every day. For preventative measures where the goal is to consume in the region of 500mg of the omega-3 EPA/DHA a day -sure, this will be well served by eating oily fish. When we get into the realms of pharmacological intervention (which this article discusses) and the levels the drug companies are examining, we are talking about 2,000-4,000 mg of EPA/DHA a day which is not realistically met by diet alone. This morning’s Tel tells me that eating an apple a day will do me as much good as statins. Since I eat an apple a day anyway, I beam in satisfaction. It amazes me at times that some people still don’t realise that statins are the most toxic chemicals ever prescribed outside of cancer chemotherapeutics. Many quite serious side effects have come to light which are virtually ignored by medical journals and the prescriber. For example, how many of you know that the statins carry the same FDA warning as thalidomide regarding the risk of causing birth defects? The FDA classifies Mevacor and other statins as pregnancy category X, which means they are not supposed to be taken by pregnant women. Not only have category X drugs been linked to fetal abnormalities in animal or human studies, but the FDA also has declared that the benefits of taking them do not outweigh potential risks. I would well image supplementation to the tune of 2,000-4,000 mg of EPA/DHA may lead to high rates of stomach problems and dyspepsia. Not to mention precautions you may need to take if you had a kidney/liver issue. Even regarding the use of omega 3 after a MI or even to lower hypertriglyceridaemiaI I thought a daily dose of <1000mg of EPA/DHA would be the norm. Also I think it best when using % with regards Studies its best to specify whether the % is absolute or relative. Also you do know that the 5 a day fruit /veg is made up, no proper science behind it just part of agricultural advertisement. Wholegrain Really Aiden? Any statin or any replacement statin now or in the future that interferes with the mevalonate pathway will always cause more harm than good. 5 a day is abstract (really it should be 9-10), the benefits of fruit and veg are not. I take Omacor myself, have done for three years now but i find any more than two capsules and i start to have stomach issues regardless of when i take them. With regards the Wholegrains lets agree to disagree.